English family, english education, lived in England and Wales, so i feel like i am entitled to spell things the uk way. You have full license to spell things any way you want to. 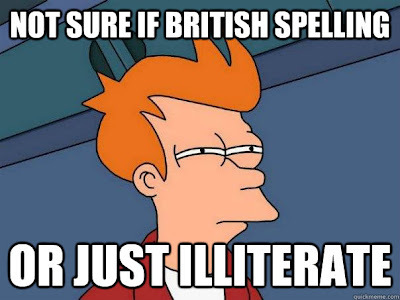 But far too many of our countrymen use those spellings to make themselves come across to be more civilized than they are. Shouldn't that be 'Pompous arse'?